Indie Retro News: Amiga Power: The Album With Attitude - A tune banging retro remix Kickstarter success! Amiga Power: The Album With Attitude - A tune banging retro remix Kickstarter success! 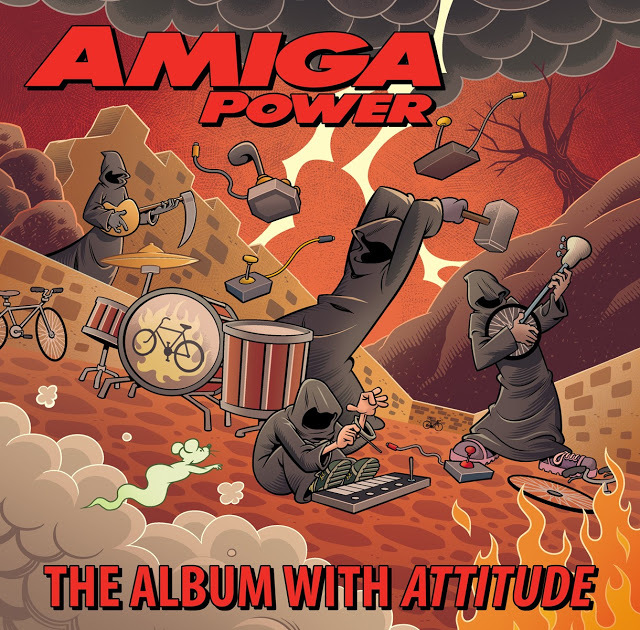 What a great way to start a Monday as we can officially announce that the Amiga Power : The Album With Attitude Kickstarter, is a huge success after we helped pushed it over that last threshold! This new Kickstarter from Matthew Smith, is a serious treat for Amiga game and or music lovers, as it will feature not just a Mighty Booklet, but two discs spanning over 30 tracks of remixes from classic games such as Apidya, Banshee, Blob and many many more! Although a full article spread can be viewed (here), in short not only does this album have a huge remix of tracks such as Chris Huelsbeck, Andrew Barnabas, Jon Hare and Barry Leitch, but included with both discs will be a deluxe liner notes booklet containing more than 80 pages of intriguing facts, full song lyrics and written contributions from the former AP contributors mentioned above! So either head on over to our big article linked below, or check the Kickstarter out for extra pledge goals!